On behalf of Honourable Charles Rolls and Henry Royce, we are pleased to inform you of the announcement of the winner of the SPANISH ROLLS -ROYCE DRAW. This extravaganza was held on the 27th February 2007. 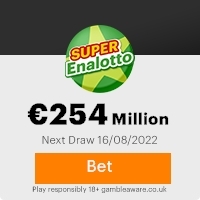 Your name and address attached to the ticket number 2100457-7 with batch number 2810-74W/L which subsequently gave you this opportunity of having a lump sum of $2,500,000.00 USD (TWO MILLION, FIVE HUNDRED THOUSAND DOLLARS ONLY), each for the three winners in this category. All participants were selected randomly through a computer ballot system drawn from AMERICA, EUROPEAN, AUSTRALIA AND PACIFIC AIRLINE ONLINE WEB CUSTOMERS and your ticket number consequently won in the 2nd category. Your fund is insured in your name. Please due to the mix up of some names and numbers, we advice you to keep this award information confidential until your claim has been processed and your money remitted to you, as this is part of our security protocol to avoid unwarranted abuse of this programm. For the remittance of your winning prize to a designated Bank account of your choice. All winning must be claimed not later than 18TH APRIL 2007. And also be informed that 10% of your winning belongs to the AIRLINE PROMOTION COMPANY; due to the fact that they entered your name for this draw. The 10% will be remitted after you have received your prize. N.B: Any breach of confidentiality on the part of winner will result to disqualification. This Email with the Subject "YOUR EMAIL HAS BEEN SELECTED!!!" was received in one of Scamdex's honeypot email accounts on Fri, 30 Mar 2007 09:18:22 -0700 and has been classified as a Generic Scam Email. The sender shows as mslo@mslosorteo.orangehome.co.uk, although that address was probably spoofed. We recommend that you do not attempt to contact any persons or organizations referenced in this email, as you may expose yourself to scammers and, at the very least, you will be added to their email address lists for spam purposes.